All I’m gonna say is: whatever the hell it was we captured in a bottle vs the Wild needs to keep going vs the Habs. We all know the implications here. We got this. Habs have a beating coming to them. This game is going to be interesting because this might be the first time this season that the Hurricanes and their opponent played a game the night before. I could be wrong. Regardless, it all depends on whom wants it more and gets off to the better start. I'm sure the roof will come off tonight there. I don't know Montreal's record in the 2nd game of back to backs but I know ours so far is 11-3-1 and I like those odds. Anything can happen. The disadvantage hopefully for Montreal is the travel. We didn't have to travel. Whomever starts in goal needs to be on their game. If their not on their game Brindamour needs to pull the goalie and put in the other goalie. The Hurricanes need to play this game like it's game 7 of the SCF. It's THAT important. We win this game boy oh boy will we be so much closer to locking a playoff spot. We're 1-1 vs Montreal this season (a 2-1 win and a 6-4 loss in Montreal). In the first game McE had 48 saves. Don't know whom started the 2nd game. This may be a 2-1 or 3-2 game (something similar to the Pitt game). As long as we come out on top I don't care if the score ends up being 8-7. Curious if they intend on doing this in the playoffs. Do it once and the opponent will remember it next game and make them pay. Different in regular season when most times dont see the team for a while. Personally, I find it pathetic, but that's just me. Starting with prior meetings. Both were in Montreal and both were during our "still figuring things out" phase in November and mid December. As to trends we are clearly on the rise. They were starting their free fall, but have managed to win 3 straight to pull out of the nosedive possibly just in the nick of time. 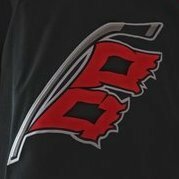 Previous iterations of Canes teams would lose this. They would be frankly, overconfident after the blow out, and come out for a Sunday lackadaisical afternoon skate. THIS group almost certainly will not do that. This group is different. I think the cathartic release of that third period will help us find that zone that we excel in. We'd been out of that zone for a while, thought still winning. I had to look this up and manually counted the games, so I may have missed one, but if I'm not mistaken, since we broke out Dec 31 we have played 8 back ends of back to backs. Our record in those games: 8-0. Even before we got good, we were 3-3-1 in backs of back to backs. This team has a lot more trouble with days off than back to backs. Plus, as mentioned, Montreal is also back to back, also 3rd in 4, and they had to travel. Montreal has put up 11 goals in their last two games. But we've put up 8, and we had to play Tampa. This should be playoff central. But we've been in playoff mode for a long time now. I like our chances. I don't know why I'm thinking this and of course the decision would be made by the goalie coach and some of you fans may disagree but I would go with McE tonight ONLY because his last game vs Montreal in Montreal he had 48 saves in 49 shots. I know Mrazek is hot right now and wasn't taxed last night but I say because of his last game vs MTL start McE. Previous iterations of Canes teams would lose this. They would be frankly, overconfident after the blow out, and come out for a Sunday lackadaisical afternoon skate. THIS group almost certainly will not do that. This group is different. I think the cathartic release of that third period will help us find that zone that we excel in. I had to look this up and manually counted the games, so I may have missed one, but if I'm not mistaken, since we broke out Dec 31 we have played 8 back ends of back to backs. Our record in those games: 8-0. Even before we got good, we were 3-3-1 in backs of back to backs. This team has a lot more trouble with days off than back to backs. Me too. I don't know MTL's record on the back end of their back to backs. Hopefully the travel will be our advantage vs them plus we're in front of the home crowd for this one although we've played well on the road too. Also, MTL's three game winning streak has been vs the Flyers, Islanders and Sabres; all teams including the Islanders are slumping at the moment and the Islanders are about to lose 2nd in the Metro with Pitt tied with them; Isles ahead due to games played though. We're NOT slumping right now and we have figured things out since the last meeting with them. Regarding the overconfidence I think JW would prevent this team from doing that. He knows what these high stakes games are like because he's been through it many times in his career. I'm sure he'll talk to them in the locker room before the game about sticking with the game plan. 8-0-0 that is amazing but it scares me a little because that just tells me we're due for a loss. I hope I'm wrong. Last night in the after game commentary Tripp said Mrazek had trouble with back to back starts in Detroit because he didn't sleep well after starts. This would be another reason to let him rest. I was thinking about 2/3 rough starts for McE recently (Tampa and Winnipeg) but the team let him down in those, and in between was a 35/37 very good outing vs. Buffalo. I trust The Goalie Whisperer to make the call, but I would not be upset if he went with either guy. I'd definitely start McE. The Tampa loss wasn't his fault. We came out flat, in the 3rd, and left him hanging out to dry. That was unfortunate too because after those two goals TB scored in the first he was seeing EVERYTHING in the 2nd. Then the implosion happened in the 3rd and we pulled a Winnipeg on the poor guy again. Montreal BB record at first glance is 5-8 with some wild ones both ways. Their last 2 B to B's they've been blown out by a total score of 3-13. Yeah, those last games were definitely not on him. He was seeing EVERYTHING in the 2nd period vs TB and seemed to have settled in a groove...then the team blew up. Yes. We gave TB hell for 2 periods before we blew up on Thursday. We matched Minnesota's speed last night because they're a fast team too and they had the wheels going early last night but we were right with them without any problems. Speed has never been a problem for this team this year; at least for the games I've watched (minus the Winnipeg game of course). We need to keep an eye on Jonathan Drouin. He's the speedster on MTL's team. I'm curious to know what team in the NHL is the fastest overall to play against? Overall Montreal is the #14 team in the league in points won of points available. (we are #10, and that factors in our down time before Dec 31). Unlike Tampa, we can play looser with Montreal because they have the league's worst PP at 12.6% and mid pack PK at #16. I'm not advocating taking a lot of penalties, but it's not the death sentence that doing it vs Tampa is. I have to assume we're going to see Price in goal. It would be very very nice if they went with Niemi on the back to back, because Niemi is way more beatable. But they've been riding Price, and this one is huge for them, so I suspect one more. He was beaten a few times yesterday. Maybe the rest him on the B2B, but that may be wishful thinking. Wish I was going to this one. Not that it means anything but Price is 1-5 in his last 6 starts vs Carolina. Now, because I mention that he may shut us out or stone us tonight but we seem to own him recently and that could get to his head. I don't know how Niemi is vs us. I don't care who they start as long as we win. Just found out that Price IS expected to start. McE starting for Carolina tonight. Wonder what Price's record is in back to backs? He's started at least the last 5 in a row, but judging by Niemi's last start, this looks like it might be start 8 in a row for Price. I'm good with that. It also could have the effect of really pulling him into this "everyone on board" thing we've got going. Plus, it's not like we don't have a game vs. Washington in 2 days. A HUGE home and home vs Washington as a matter of fact. Any word on Montreal’s goalie?